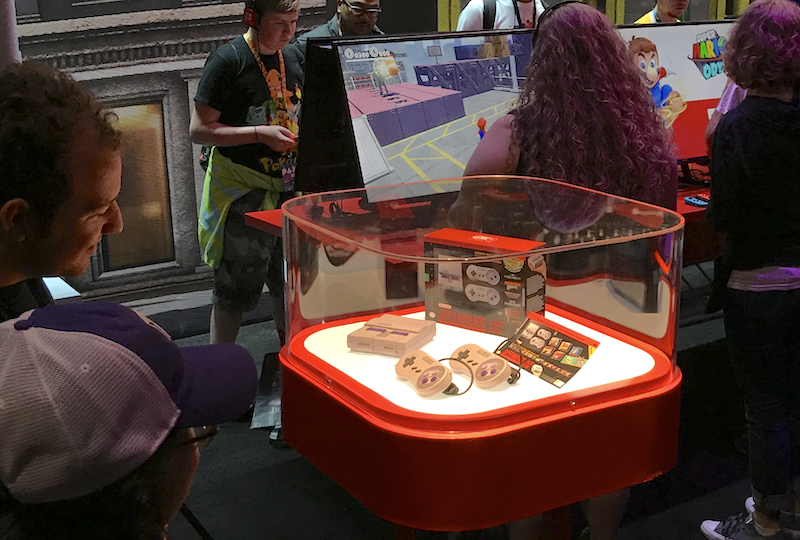 One day in, the SNES Classic at Nintendo’s PAX booth remains safe and secure. One day in, the SNES Classic at Nintendo’s PAX booth remains safe and secure. The controllers and information card have switched places since yesterday, however, indicating that someone opened the case and rearranged its contents. We will continue to keep you posted on this situation as it develops.